Over the Thanksgiving holiday I checked the Dreamchasers Web site for the winners of the 2013 Marathon des Sables (MdS) lottery. I was among them. I’m a winner! I’m not sure whether that is good or bad. You see, the Marathon des Sables is a 150-155 mile (240-250km), seven-day, stage race held annually at the end of March and beginning of April in Morocco (that’s right—Morocco—as in Africa). Competitors run on foot through some of the most beautiful, remote sections of the Moroccan Sahara while carrying a backpack with essential gear, food, sleeping bag and clothing for the week. While the event can be very demanding if you are racing, the daily time cut-offs are generous enough to allow someone to power-walk the entire distance. Consequently, it is not necessary to be an elite runner to take part in the Marathon des Sables. Hmmm. The farthest I have ever run at one time is three miles. I don’t know—that could be a problem. MdS is a real race held annually. It was started by a Frenchman in 1986. The event’s home office is in France. Every year, 700 or 800 people take off on this race across Morocco. I discovered it quite by accident about three years ago when I saw a photo of the race on the BBC Web site. I thought to myself: Holy Crap! Would that be an accomplishment, especially at my age. So I began to lay plans to do it. A good friend of mine agreed to do it with me, which emboldened me even more. (More on this in a later post.) Then this year, our names appeared on the first 50 people chosen to participate in the 2013 MdS. I could hardly believe it. I am 64 now and if I go ahead with this, I will be 65 when I participate. I would not the oldest to participate in the MdS, but my guess is that I am among the oldest. In all the years the event has been held, two people have died. Not interested in being the third. I still have to pay an initial registration fee to hold my spot, and I am watching the Dreamchasers’ site for information on how to do that. Meanwhile, I have spoken with a trainer who has agreed to help me develop a training plan. We have yet to get started, and I am anxious to see what the plan looks like. A note on Dreamchasers: Dreamchasers Outdoor Adventures is the registrar for U.S. and Canadian citizens for MdS. If you want to participate in the MdS, and you are an American or Canadian, you must register through Dreamchasers. 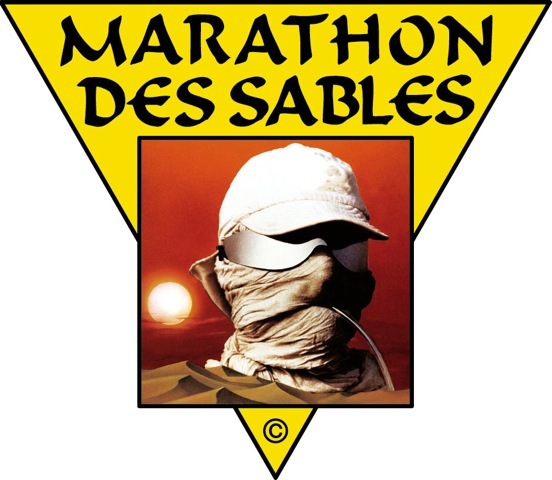 Here is the statement from the site: Dreamchasers is the official representative of the Marathon des Sables for individuals who are permanent residents of Canada and the USA. If you are not a permanent resident of one of those countries, please contact the race organizers via their Web site: www.dabaroud.com. There are no ‘qualifying’ requirements to enter the Marathon des Sables. So let’s see where this takes us. Could be pretty interesting.